Bloomington Jefferson defenseman Joe Faust, a senior who had 45 points last season, has verbally committed to play at Princeton according to Jefferson coach Jeff Lindquist. Lindquist said Faust turned down scholarship offers from two WCHA schools to join the Tigers, who won the ECAC title in 2008. "Joe is a good student," Lindquist said about Faust, who has a 3.8 grade point average. "I know he feels like Princeton was a great fit academically, and he believes the program is really on the rise." Princeton was selected to finish third, behind Yale and Cornell, in two ECAC preseason polls. Princeton, which opens its season with two exhibition games Oct. 23 and 24, is ranked No. 10 in the USCHO.com poll and No. 8 in the USA Today/USA Hockey poll. Faust scored 14 goals and had 31 assists as a junior for the Jaguars, who were ranked No. 1 in the state in Class AA for much of last season. 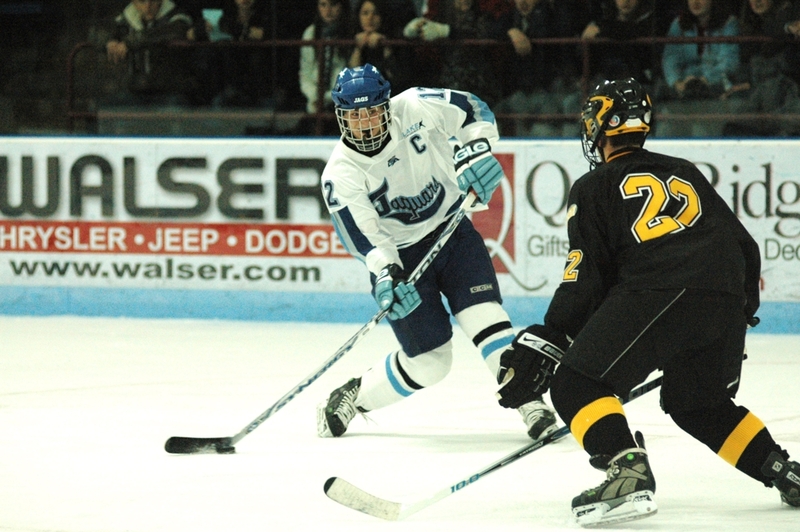 "He's a great two-way defenseman," Lindquist said about the 5-foot-10, 190 pound Faust, who joins senior forward Caleb Herbert (UM-Duluth) as Jefferson players who have committed to Division I programs. "(Faust's) shot is has hard as anybody's out there I have seen." Faust has spent the fall playing for Team Southeast in the Upper Midwest High School Elite League. He has two goals and seven assists in 15 games.